I'm now offering an affordable custom book design service. E-mails from missionaries or military servicemembers, family histories, journals or blogs can now be transformed into professionally hardbound or paperback books, beautifully typeset, with a custom designed full-color wraparound cover. Create a permanent printed legacy that you and your family and friends can treasure for years to come. 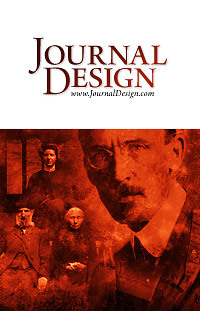 Visit JournalDesign.com for pricing and samples. In addition to the new JournalDesign projects, I've also published Covering CrossTalk, which includes over five years worth of both published covers and unpublished covers, with miscellaneous concept sketches and other background material. It's 122 pages, perfect-bound, in full-color, and can be ordered through lulu.com. You can also preview the cover here or download all the interior pages in 14MB PDF file. Every year I look forward to spending time with my favorite 11-year old maker of exotic poisons, Flavia de Luce. 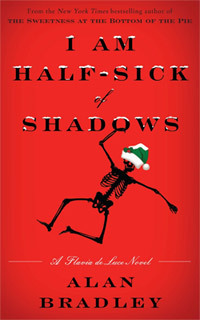 The fourth novel in this excellent series, I Am Half Sick of Shadows, came out in November 2011 and is a lovely tale of Christmas murder.